[EN] 9 years after his debut EP on Enough Records, Violet and The Mutants have finally finished their debut album, 11 tracks of electro industrial by Daniel Carvalho and friends. Including collaboration tracks with Time Shifter and Psyjar. Artwork by Hélder Costa. 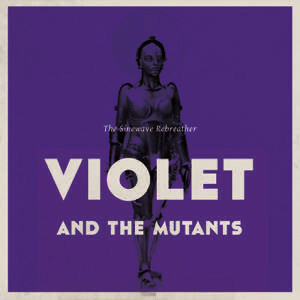 [PT] 9 anos depois do seu EP de estreia, Violet and The Mutants regressa às edições com um album de 11 temas de electrónica industrial produzida por Daniel Carvalho com colaborações de Time Shifter e Psyjar. Grafismo de Hélder Costa.